Saving is hard 'The County' makes it Easy! Side-by-Side Comparison of our transaction accounts, so you can choose the best product for you and the way you like to do your banking. 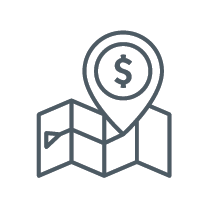 This account feature will round up your debit card purchases to nearest whole dollar amount and transfer this difference (always 99 cents or less per transaction) into a share savings account. The Round-It-Up Feature helps members’ save money! All the tech and access you need! 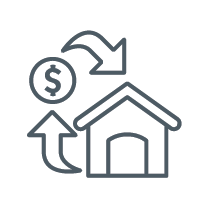 Up to $250 credit toward mortgage closing costs! All of the items listed above plus an optional Round-It-Up feature. 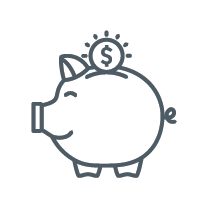 The Round-It-Up Feature helps members put money in their Savings Account for Effortless Savings! 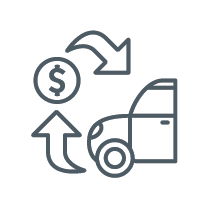 **If the full rounded up amount to be transferred is not available in the draft account at the time of the transaction/purchase, only the available amount will be transferred. If the share has a $0.00 balance or less, a transfer will not occur. Each day during the end of day processing, the aggregate rounded up amount will be transferred into your share account. After you have chosen the Round-It-Up Feature, you can request that CFCU turn it off 30 days or more after account opening. The Round-It-Up feature will not be turned on again for at least six months after being turned off.